Google wants all students to have the opportunity to learn and get excited about computer science (CS). To spread the excitement about Africa Code Week, Google is funding organizations and grassroots groups who want to run initiatives to give more kids (aged 5-18), especially those who may not have access to many CS learning opportunities, a chance to engage with computer science. 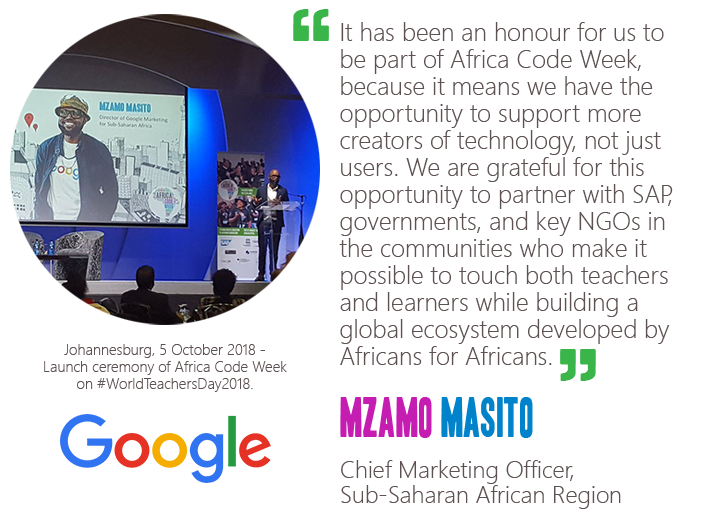 53 #nonprofit organisations across 11 countries have received Google grants to facilitate training sessions and Computer Science / Coding workshops for over 100,000 students during #AfricaCodeWeek 2018. Thank you Google! 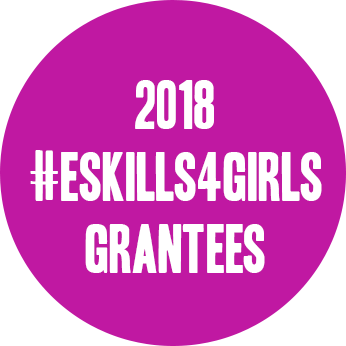 Launched by the German Federal Ministry for Economic Cooperation and Development (BMZ) as part of Germany’s 2017 G20 presidency, the #eskills4girls initiative is tackling the gender digital divide with a sharp focus on low income and developing countries. 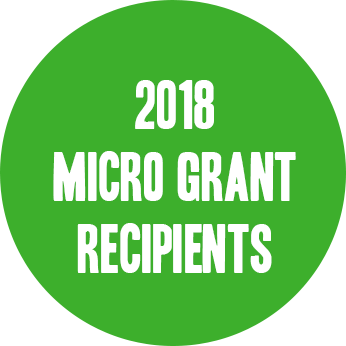 In 2018, 20 grants have been awarded to organisations hosting coding activities for girls and women across 16 African countries.